set manually or automatically on a predefined schedule, so you never have to make multiple copies of the same course in your LMS again. LifterLMS is one of the best WordPress platforms for online courses. Unfortunately, like all WordPress course platforms, if you want to run a single course in LifterLMS more than once, you have to make multiple copies of it. This process is extremely inconvenient and creates lots of unnecessary entries in your database. Course Scheduler fixes this, and adds several other useful scheduling features. 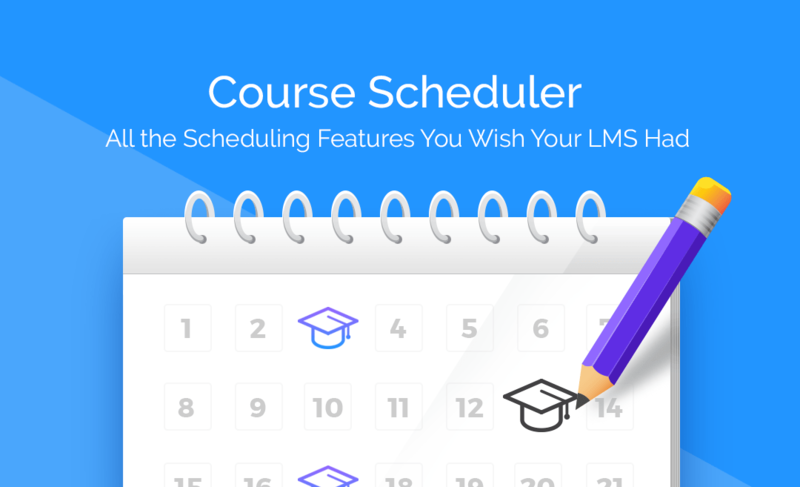 With Course Scheduler, you have full, intuitive control over your LifterLMS course scheduling. No more making copies of the same course, no more straining to fit your life around your course schedules. Now you can configure your courses in the most convenient way for you. With Course Scheduler, creating multiple start and end dates for the same course is super easy. Course Scheduler makes it easy to have all of your students begin courses at the same time, and receive all subsequent course material at the same time as well, so everyone is moving at the same pace. Easier to plan and manage your own workload as course master. For instance, most student support and interaction happens right around the start date of a course. Now you can plan exactly when that happens. Course Scheduler makes it easy to block student enrollment for as long as you want to at any time. This comes in handy if you need to update course materials or scale up your staff/resources to accommodate a sudden influx of students. Course Scheduler allows you to easily set and change future start and end dates for recurring courses.